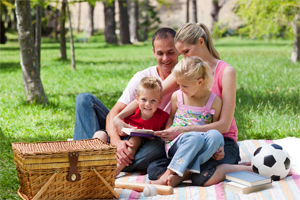 A good life insurance policy provides the income your family needs in the event of your untimely death or disability. But for those with diabetes, obtaining affordable diabetes life insurance without professional guidance can be challenging. Some insurance companies may deny your coverage simply because you have diabetes. Fortunately, NAA Life works with multiple top rated companies so that we can help you find the coverage you need at the best possible rate. According to the Centers for Disease Control and Prevention (CDC), an estimated 23.6 million Americans are currently diagnosed with diabetes. As soon as a person is diagnosed with diabetes, life insurance policies in the U.S. frequently become too expensive or unattainable. However, because of improved medical care and a better understanding of diabetes, more insurance carriers now offer life insurance that favors people with diabetes. We're happy to tell you that diabetics can qualify for life insurance and get an affordable rate! Even if you have other health issues, you may be able to qualify for this important diabetes life insurance protection. For a free assessment and to learn more about diabetes life insurance, please complete and submit the form on this page. The Centers for Disease Control and Prevention (CDC) states that 57 million people have prediabetes, meaning they are at risk of developing diabetes. For prediabetics, it's important to take advantage of the most valuable asset - time. If you haven't been diagnosed with full diabetes yet, time is on your side. The sooner you apply for life insurance, the better your rates will be. As the saying goes, you'll never be any younger than you are today. As far as life insurance goes, your rates are not likely to ever get lower. Waiting until you develop diabetes to get life insurance will likely raise your insurance costs. Take advantage of your current age and health to get the lowest possible rate on life insurance with National Agents Alliance. Fill out the form on this page to request free professional guidance on finding the best life insurance carrier for you. National Agents Alliance has a nationwide network of licensed agents who know that when it comes to people with diabetes, life insurance companies consider a person's entire health history, but focus particularly on the blood-sugar levels, hemoglobin A1C count, the person's age, and the client's age. Height and weight are also important factors, in addition to how well the person is able to control their diabetes. Contact NAA Life for more information about the types of life insurance policies that will meet your needs and fit your budget. National Agents Alliance's licensed insurance specialists are ready and willing to offer free personal assistance in finding the perfect life insurance plan for you and your family. For a free, no obligation quote on life insurance suited to your individual needs, please complete and submit the form on this page.